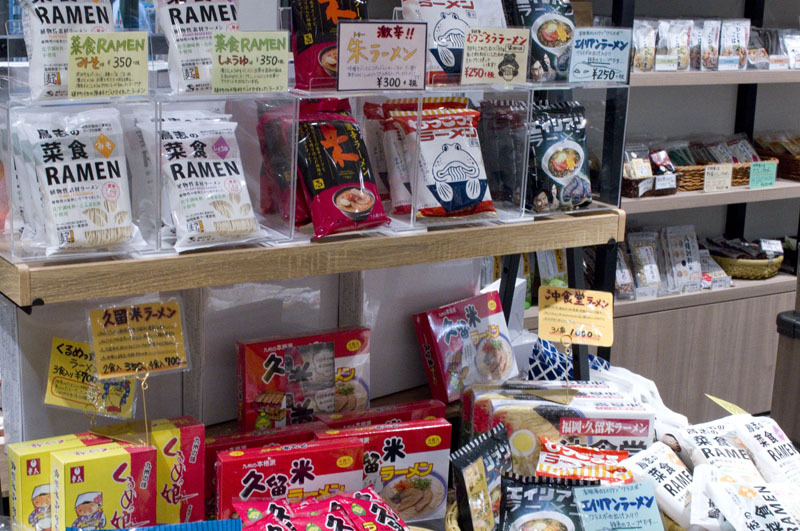 While prefectural antenna shops are quite common in Tokyo, there are also smaller shops that specialize in local foods and crafts from individual cities. 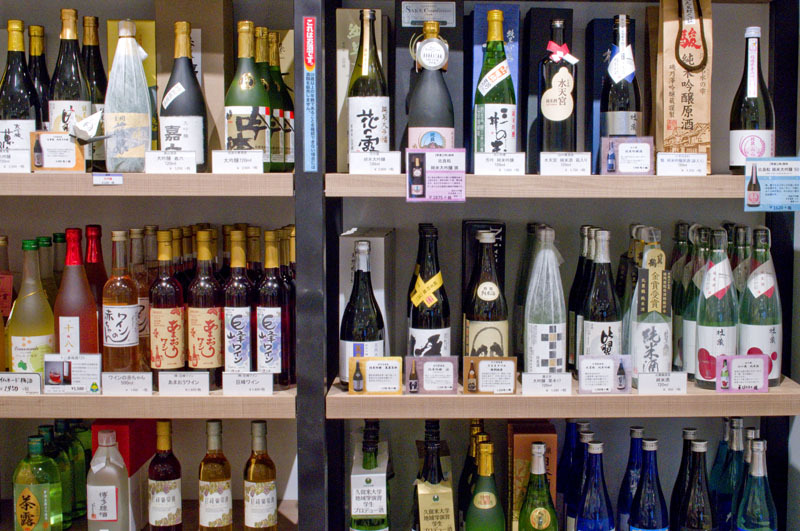 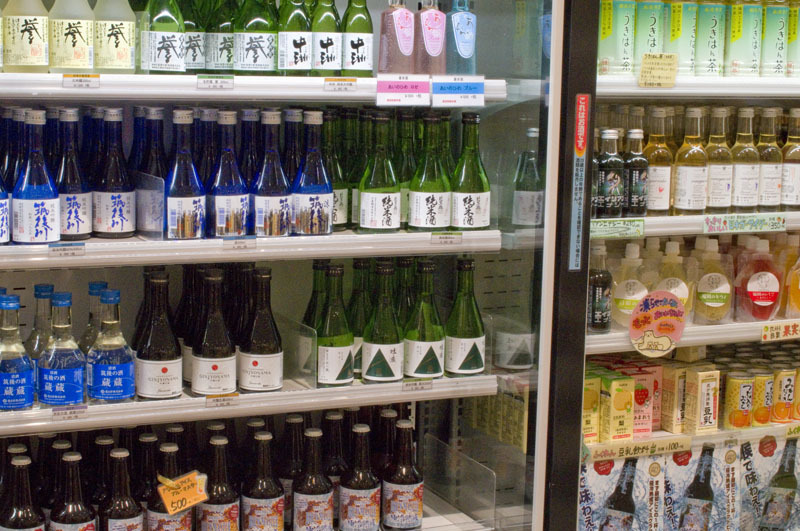 Kyushu's Kurume City, in southern Fukuoka Prefecture, is home to numerous sake breweries, and this two-story shop carries sake from seventeen local breweries along with shochu, wine, beer, food products and crafts. 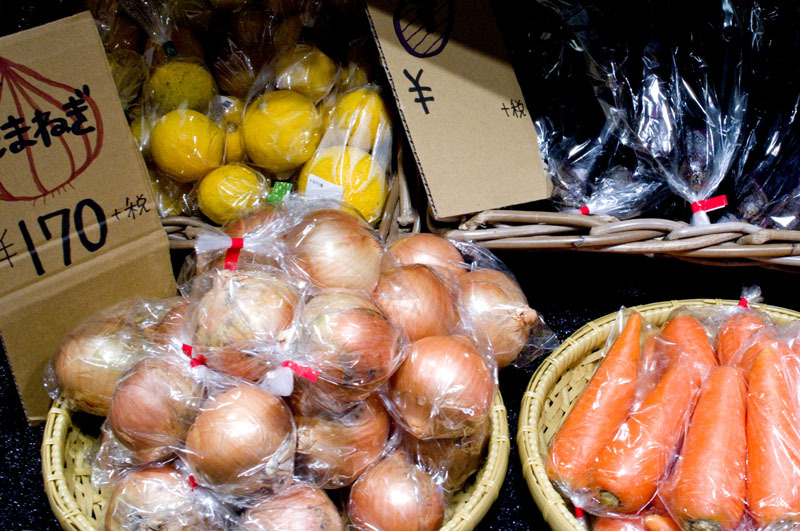 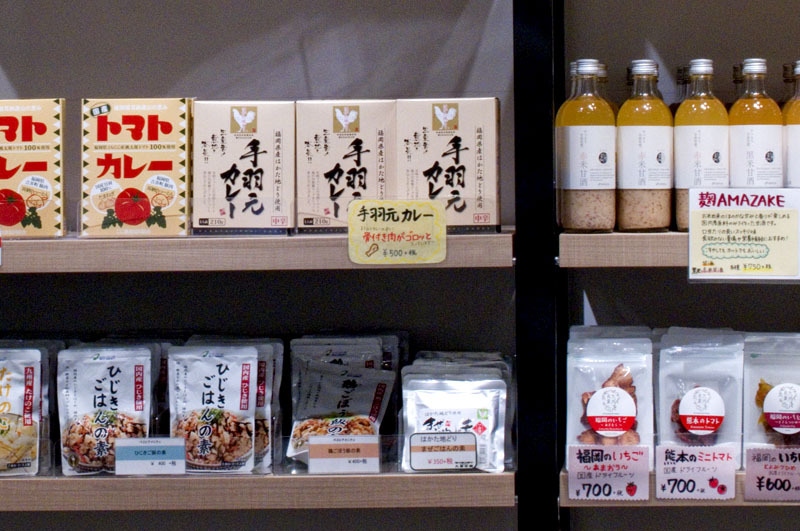 Some local food specialties here include mentaiko (spicy cod roe), mentaiko-flavored crackers and other snacks, instant ramen, tomato curry, and fresh onions, carrots, cucumbers, eggplant, kabosu and persimmons. 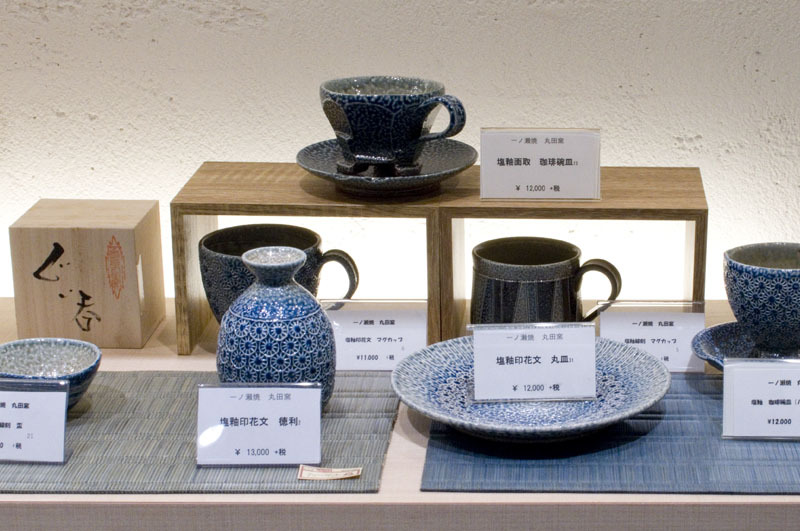 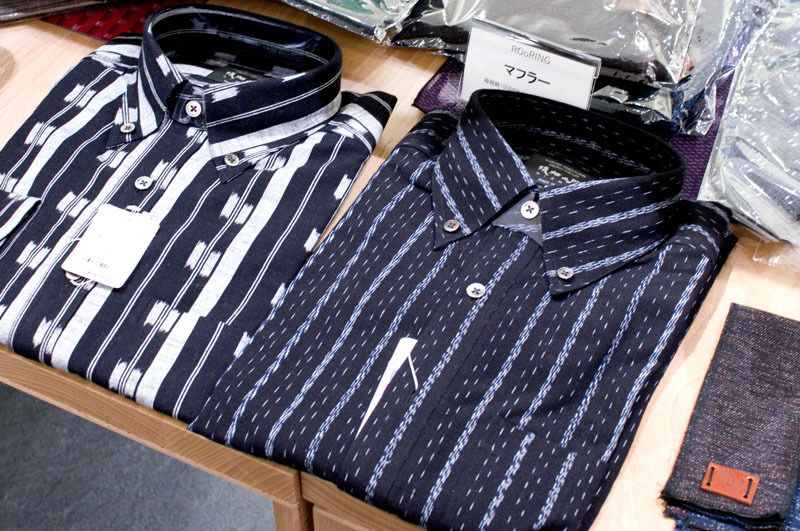 Clothing and handicrafts are sold on the second floor, and there's a small cafe area where you can stop for coffee and dessert or a sake tasting flight. 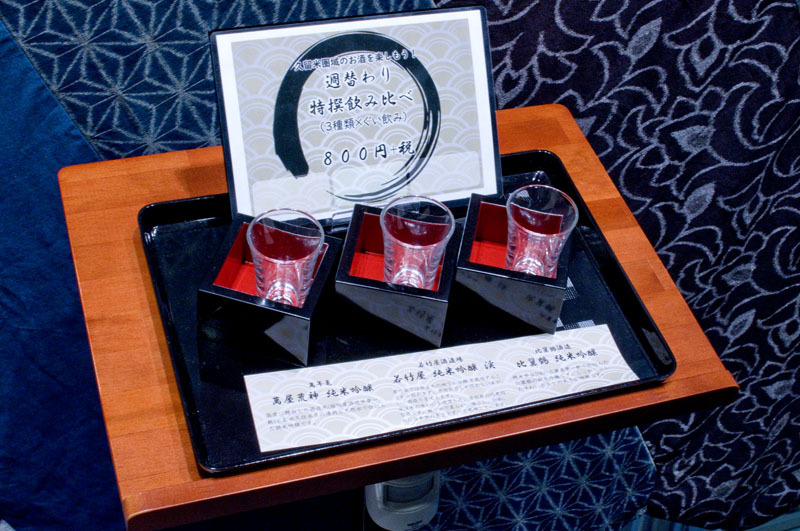 Three-glass tasting flights are Y800, with different sakes every week. 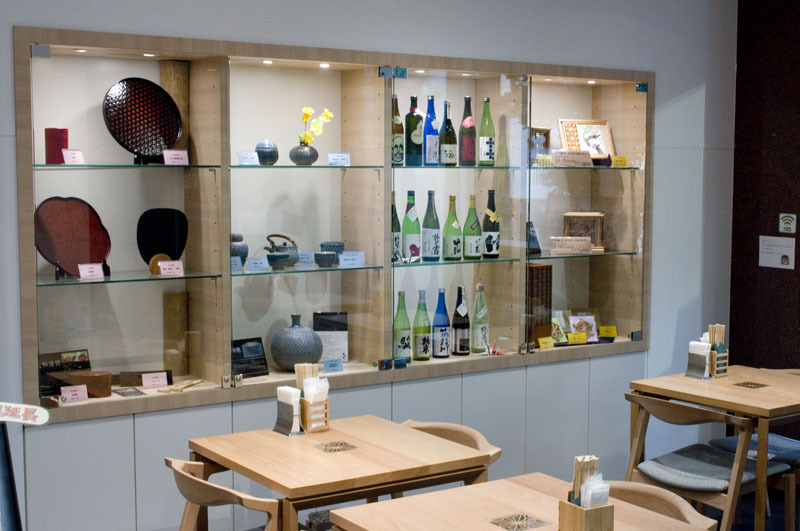 Minato-ku, Shimbashi 2-19-4, SNT Bldg.